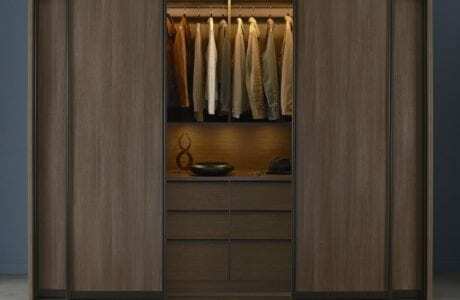 In addition to creating privacy when you need it and opening up a space when you don't, sliding closet doors and room dividers are the final finish on a wardrobe or reach-in closet. 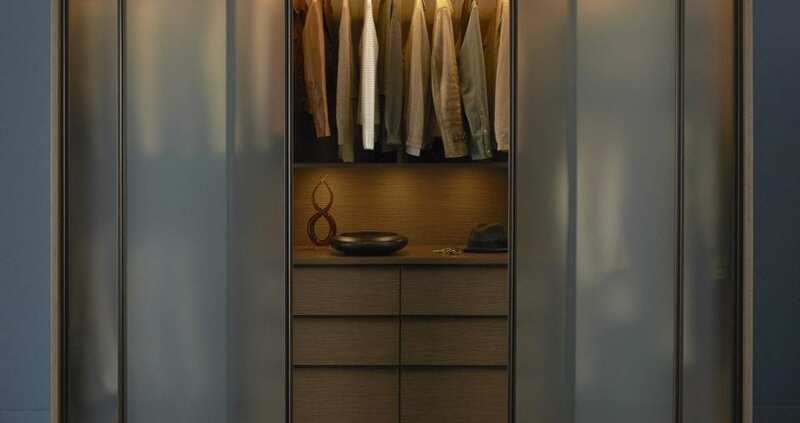 They are an essential design element that can transform a standard wardrobe into the perfect built-in addition to your home. 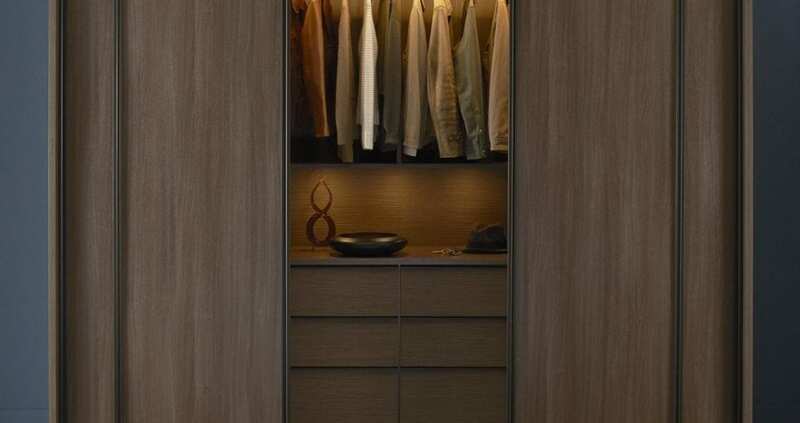 Sliding closet doors provide privacy and can be integrated into any system. 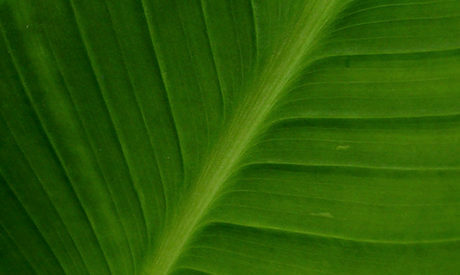 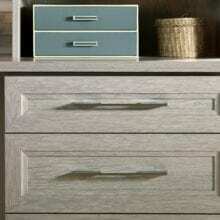 They are offered in a variety of finishes to complement your design style. 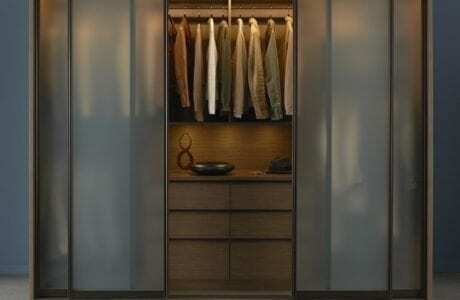 In addition to our Classic, Lago, and Tesoro finish options, we offer a variety of accent materials that can be used for sliding closet doors, including Ecoresin, Satin or back-painted glass, leather, acrylic and more. 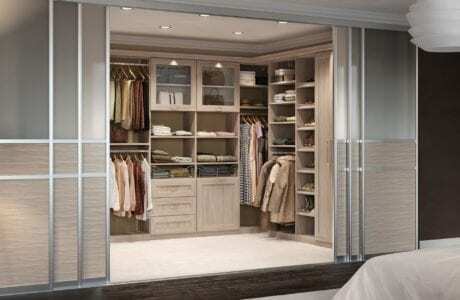 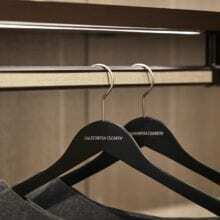 Sliding closet doors provide smart design solutions in large or small spaces. 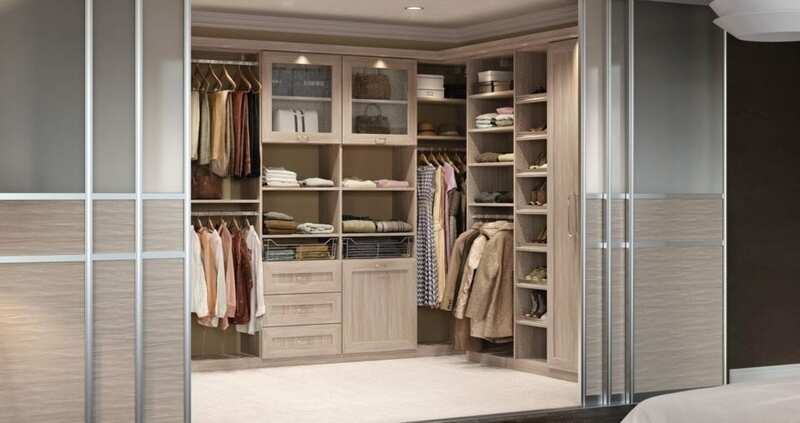 Sliding closet doors can also be incorporated on a cabinet or a shelf. 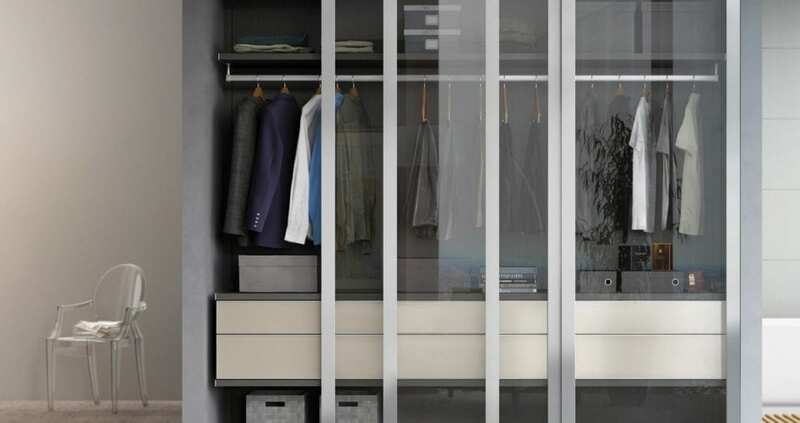 Room dividers are a functional accent to any system, providing privacy in a variety of finishes to complement your design aesthetic. 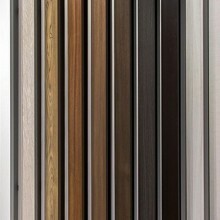 Room dividers save space, allowing for more room to move about. 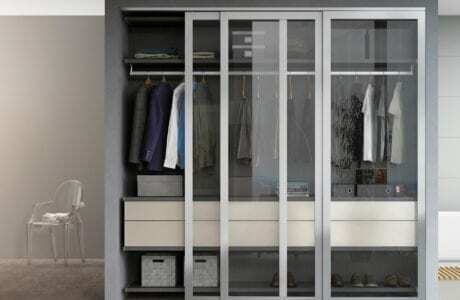 They allow you to separate a space from the rest of your home when not in use.